Follow our instructions on how to spatchcock a turkey. Inject the turkey evenly with 1 bottle of John Henry Pecan Injection and Marinade. Inject all over the bird, you should have no excess injection when done. Next, coat the turkey liberally with John Henry Pecan Rub. 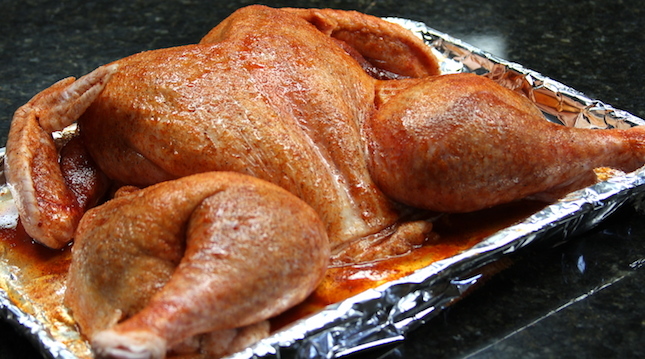 Place the turkey on a rimmed baking sheet that has been covered in foil. Let the turkey sit for 15 to 20 minutes before placing it on the smoker. Preheat your Yoder Smokers YS640 or other grill to 325º. Place the turkey on the smoker and let it cook for one and a half hours. Check the turkey for color at this point. If the turkey has reached the color you would like, tent it with foil. Start checking for doneness after three hours. The breast meat should be 160º and the thigh meat should be 170º (use the Maverick PT-100 thermometer for fast and accurate temperature readings). 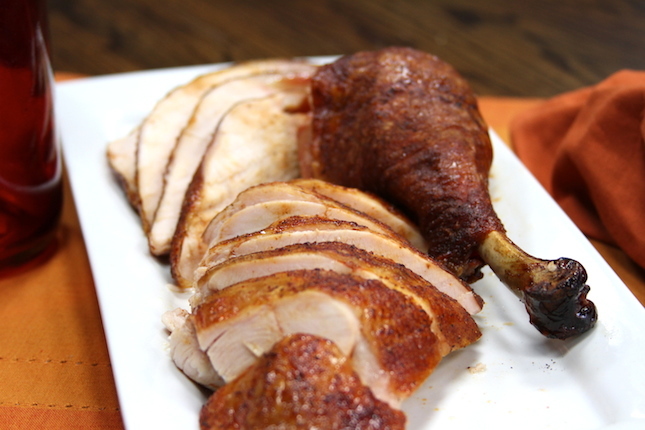 Pull the turkey from the smoker once it has finished cooking and let it rest for a few minutes before carving. For more tender breast meat, de-bone the meat from the breast and slice against the grain. Serve and enjoy!